A singing nun from Italy? A Las Vegas contortionist? Fleet-footed Spanish brothers who flamenco? The talent pool for The Word's Best — worth $1 million to the winner — is eclectic, to say the least. But this search for the Best, hosted by The Late Late Show’s James Corden, who is also an executive producer, has one very simple advantage over rival projects. 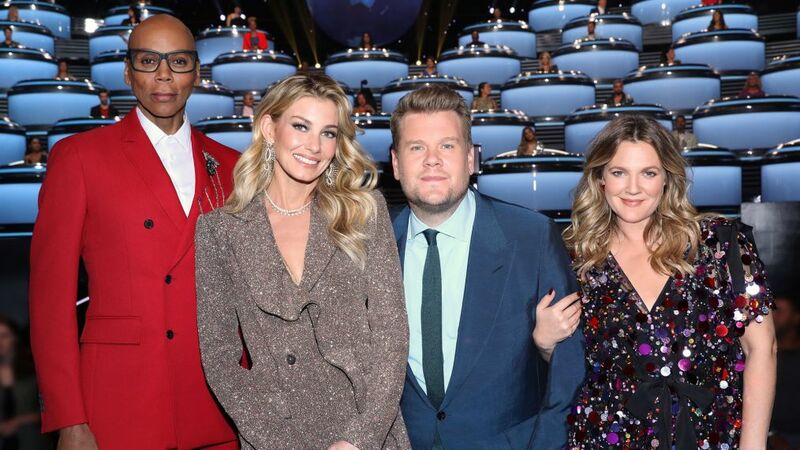 “It’s global!” says Drew Barrymore, who shares judging duties with country icon Faith Hill and entertainer/host RuPaul Charles. The Santa Clarita Diet actress took a break from being astounded by the performers to weigh in. This 'one-of-a-kind talent competition series' will feature acts from around the globe. This is your first time as a judge. How’s it going? Drew Barrymore: It’s way harder than I ever thought! People have literally worked a lifetime to be here, and the act ends and the cameras flip to you and it’s go time. You need to digest and articulate what you just saw, but this is a competition: You also have to let them know if they do make it to the next round what you want that you didn’t necessarily get from this performance. How’s your chemistry with your fellow judges? I hit the coworker jackpot! Faith is the most down-to-earth person I’ve ever met. She has three daughters and I have two, so there was never a moment we didn’t have anything to talk about. And Ru! I can have full conversations using movie quotes and commercial jingles from the ’80s, and, wow, can Ru give me a run for my money. Now he is pop culture, which is insane. And I’d done James’s show before, so I really respect what he has created. He’s a comic genius! The judges’ votes are combined with scores from 50 international experts who sit on “The Wall of the World.” Tell us about that. It’s vital to the truth of the show. Some acts are so flawless, you don’t even realize the level of difficulty. Then one of the World Judges will say, “I have never, ever seen anyone do that,” and you’re even more amazed. Will you be nervous on Super Bowl Sunday waiting for the premiere? If I’m at the right tailgate party, my nerves should be in pretty good shape by the end of the game!